Your brake system is a very important part of your vehicle. I Work on Cars LLC brake masters will replace your brake pads and brake rotors with the highest quality parts. 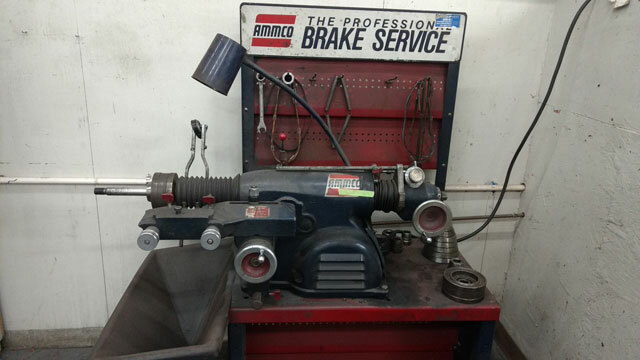 Our brake service offers options of high performance Brembo brakes and Baer brakes plus an OEM style replacement at a price that fits your pocketbook. Brake Pads are essentially the one part that controls how much grip your brakes actually have. They come in semi metallic, ceramic and organic. There are of course high end race pads that come with some form of hybrid pad. Semi metallic are a mix of organic and metallic. They have better grip more dust and more noise than ceramic. Ceramic are quieter wear slower but have less grip. Ceramic however is becoming the most popular option for passenger cars. Semi metallic is used more for heavy vehicles due to the increased stopping power. If you have more questions about brakes pads and brake repair feel free to ask! Brake pads and rotors are a normal part of vehicle maintenance. Brake Shoes are essentially the same thing as brake pad but they are shaped like half moons and they work inside your rear brake drums. They are older technology, harder to maintain but they still do the job just fine. 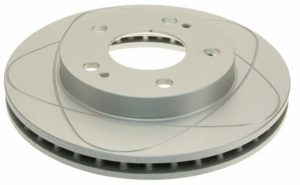 Brake Rotors are the disc in between the brake pads. They come in standard, slotted and drilled forms. One piece and two piece, vented and non vented. On most brake jobs the rotors are resurfaced. However the thickness has to be checked every time. If the rotor gets too thin it could cause warping and decreased performance. Here at I work on cars we resurface the rotors and drums for you. Brake Drums are essentially only used in the rear of the vehicle, however they were once the only option for front and rear. A Brake Rotor Resurface is something that is often neglected. It is important when doing a brake job right that the rotors have a new surface for the pads to “bed in” properly. Essentially this will help the pads and rotors mate perfectly and generate the best braking experience. 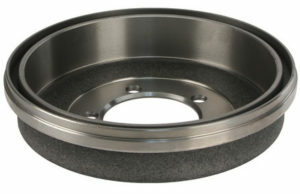 A Brake Drum Resurface is the same thing as the rotor resurface. 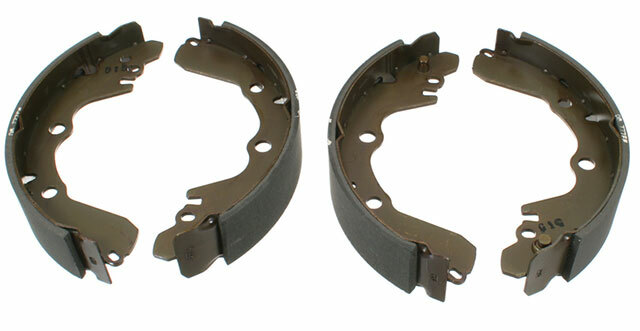 It is necessary to allow your pads or shoes to mate properly for best brake performance. The Brake Caliper is the part that squeezes your brake pads onto the brake disc / rotor. If it isn’t inspected at every brake job it could become stuck. It won’t retract and would wear your brakes down very quickly. At I Work On Cars we inspect all the brake parts to ensure proper operation. 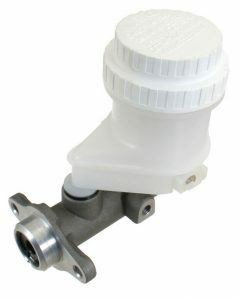 The Master Cylinder is the part that links your foot to the brakes. It takes your pedal inputs and pushes the brake fluid into the brake caliper. 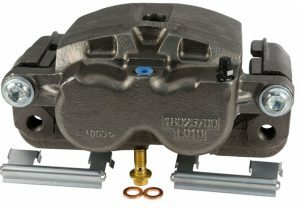 The caliper fills up and pushes on the brake pads therefore stopping the vehicle. If your brake master cylinder isn’t kept full of clean fluid your brakes won’t work. Brake Fluid is the blood of your brake system. Without it, your brakes don’t work. It is common practice to flush your brake fluid every two years. It is necessary to reduce contaminates and allow your brake fluid to perform well under all circumstances. The Parking Brake or Emergency Brake are used to hold the vehicle still on a hill or to allow you to stop the vehicle if your other brakes have failed. However they are usually only on the rear wheels so don’t expect them to work nearly as well as your main brake. 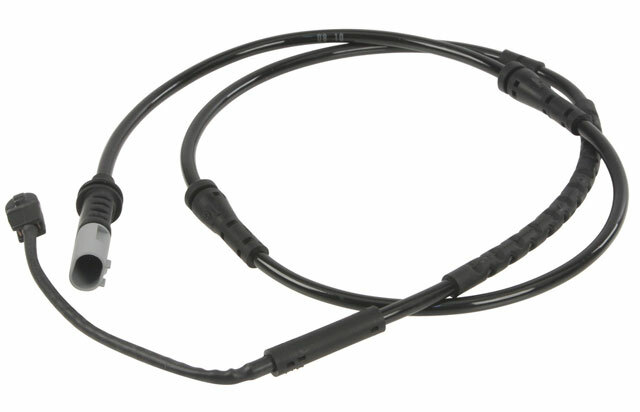 Brake Sensors are installed into the edge of the brake pad and when they touch the rotor a tiny wire gets cut. That then tells your car that your brake pads are now too thin and you are in need of brake repair. 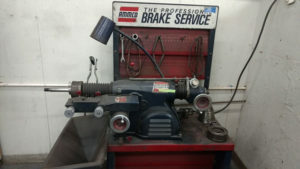 Contact us Today for your Brake Repair or any other Auto Repair Services!